On more than one occasion, I’ve found myself attempting to drag my finger around the keyboard on my Windows 8 tablet, only to be disappointed when only a single letter is entered. After typing so much on my Android phone, I’ve become accustomed to the Swype-like interface on the keyboard MakeUseOf Tests: What Is The Best Android Keyboard? MakeUseOf Tests: What Is The Best Android Keyboard? 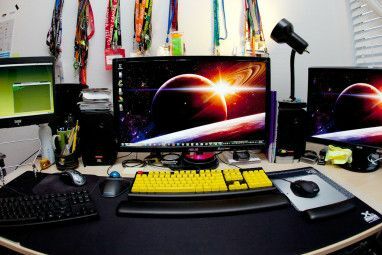 In this follow-up to our post from 2011 featuring 6+ fantastic Honeycomb keyboards, I’d like to take a good hard look at four of the most popular and well-regarded sliding keyboard. Call it a “keyboard... Read More . It’s simple, intuitive, and fast. So why can’t a Windows 8 tablet do that? Well, it can—sort of. While Microsoft doesn’t seem to have given developers full reign over creating custom keyboards for Windows 8 as Google has done with custom keyboards on Android, there are a couple limited options you can choose from. They won’t be a perfect replacement for your keyboard, but they can offer some good Swype-style relief for those days when you really don’t want to lift your finger off the screen. TouchPal looks similar to the default keyboard: modern-looking black with white text. 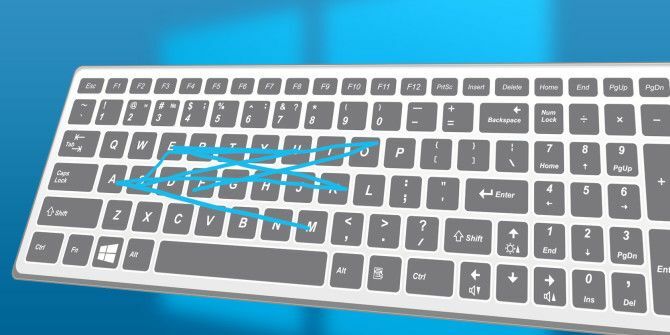 On top of having Swype-style typing, the keyboard has an option for its transparency, can be split in two by simply pulling it apart, and can be moved to one side by pinching together and then dragging it. When using it on the desktop, it pops up this little tiny menu bar that hovers in the lower right, but you can move it wherever you want by grabbing the hand on the left. It allows you to quickly adjust the options for the keyboard and open it for text input, since the default keyboard button in the taskbar will still open the Microsoft keyboard. In my testing, it worked really well… on the desktop. The Swype-like input was great, and the spelling suggestions and auto-correct were pretty helpful. In fact, if you use a physical keyboard with your Windows 8 tablet and have the TouchPal keyboard enabled, the spell check and auto-correct features will still work. To switch between TouchPal and default keyboard settings, a small button that says “ENG” (or whatever language you’re working in) pops up in the lower right hand corner of the taskbar. If you click on it, you can switch to TouchPal. But what happens when you leave the desktop? Well, that’s where things got wonky. As you can see above, I managed to get two keyboards showing at the same time when opening Internet Explorer: Microsoft’s default and TouchPal. This usually only happened when I would rotate my device one way or the other. If I didn’t fiddle with the rotation, the Microsoft keyboard would usually pop up instantly, then be replaced by the TouchPal keyboard a moment later. If you don’t mind the bit of lag, you could make it work. Another note about use in modern apps, though: the functions like pulling the keyboard apart for thumb-typing or shrinking it for one-handed typing are non-existent. To make those changes, do them in the desktop, and then try to type in whatever modern app you want. Weirdly enough, if you search from the Start Screen, the TouchPal keyboard won’t appear at all. The blue-highlighted button to the left of the spacebar is the button that activates the Swype-style actions on the keyboard. If that button isn’t glowing blue, you won’t be sliding your finger anywhere. Which is fine, if you’re in the desktop. In modern apps, the keyboard automatically disables the button after every word, basically defeating the whole purpose of it. If you spend a lot of time on the desktop, though, the TouchPal keyboard could still be of use to you. Your next option, if you’re looking for a little bit more customization in your keyboard, is InScribe. The biggest advantage this one has over TouchPal is the fact that you can customize the keys to anything you want—add another row, another column, more function keys, etc. The downside here is that it will only work on the desktop, and its Swype-like feature is actually much different than what you might be used to. Yes, it allows you to swipe around, and it draws the line as you go, but it doesn’t guess at what word you’re trying to say as you go through. You have to stop for a moment on every individual letter that you want, which seemed very slow to me. You can change how long of a pause is required before it enters the letter, but if you set it too low, it will register all the random letters you glide over. It comes with a few preset layout configurations, but you’re free to tweak them to your heart’s content. There’s also a transparency option if you feel like typing over stuff, and the entire keyboard can be resized however you see fit. However, be aware that it’ll look weird if you try to rotate your device, since InScribe doesn’t seem to know how to handle that. After changing the size of the keyboard, InScribe wouldn’t resize until I clicked Options and then Apply, leaving only white space in the meantime. Small annoyance, but would be worse if you were constantly rotating your device or resizing the keyboard. 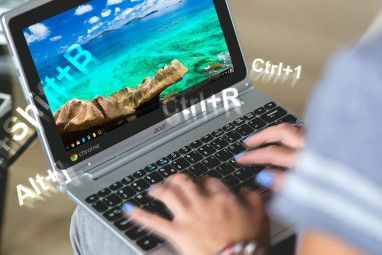 But if you really want a customizable onscreen keyboard for your desktop mode, and you’re willing to pause over every character, InScribe could work for you. I wish Microsoft would make it easier for third parties to develop keyboards, but realistically, they probably won’t. We’ve seen it before in iOS, which has alternate keyboards, but they are incredibly limited. Hopefully, Microsoft will add Swype-like features eventually, although we likely won’t be seeing it on Windows 8.1, since it is absent from the Preview. While you wait for Microsoft to play catch up, though, you might wanna give either TouchPal or InScribe a shot. In my opinion, TouchPal is your best option as the keyboard looks much nicer than InScribe and it will even work in some of your modern apps, not just on the desktop. And if you’re this dedicated to Windows 8, don’t forget to check out these 8 keyboard shortcuts and 7 solutions to common Windows 8 7 Windows 8 Niggles Resolved 7 Windows 8 Niggles Resolved Windows 8 has a number of features that can be annoying to experienced users of the traditional Windows desktop. From adding a Start menu to disabling the bulky ribbon, noisy live tiles, and unnecessary lock... Read More problems. We also have a complete guide on Windows 8. Any other keyboards for Windows 8 that we missed out on? How do you feel about Microsoft’s default keyboard? Let us know in the comments below. Explore more about: Keyboard, Touch Typing, Windows 8, Windows Phone, Windows Phone 8. I'd love to try the TouchPal, however I am unable to find a download for it in anything other than Android or iOS. If it's still available for Windows, can you tell me where to find it? I've tried the InScribe keyboard on my Windows tablet, and it works up to a point. However, it does not work with Scrivener, the word processor I use to write my books with. :( Still looking for a decent swype keyboard. The software is for Win 8.1 x86 version. Your RT is running on ARM so it wouldn't work. Not sure if TouchPal is available on RT version but if you can't find it in the Apps Store then most likely it's not. Hi, I just bought a Microsoft surface tablet with Windows 8.1 RT and am having trouble downloading the TouchPal app AND the Inscribe app several times. I get an error message with either one that says "this app can't run on your PC. To find apps for this PC, open the Windows Store". But I checked and these apps are NOT available on the Windows Store. It's very frustrating. It doesn't seem to want to install on the windows RT 8.1 platform. Is there something I'm not doing right, or is there another download site for this O.S.? Please help. Thank you. Rick D.